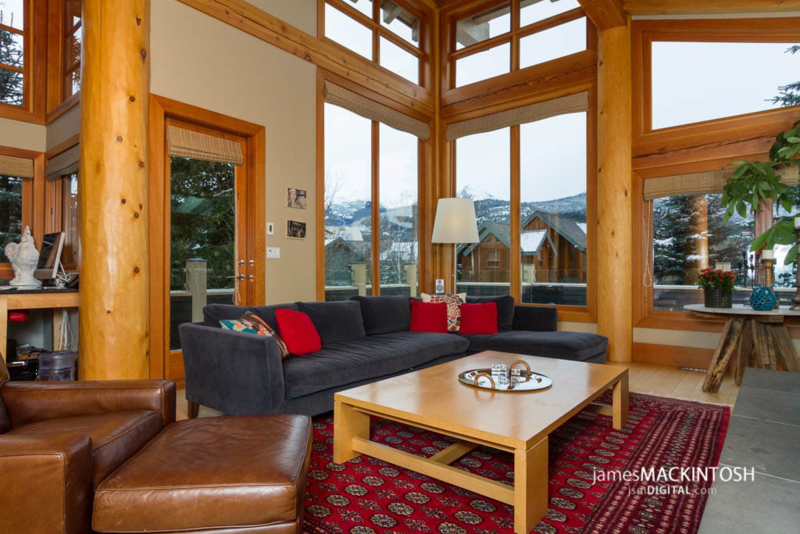 The Glen Eagles Chalet is one of Whistler's finest Luxury Chalet rentals. This 3,200 square foot custom built home features 3 levels and is designed for comfort. The home has 5 bedrooms, 4 of which have ensuite baths. There is an additional powder room on the main floor for a total of 5.5 baths. The home has a fully equipped media room with gas fireplace. The home has two additional lounge areas an office/den and TV room. 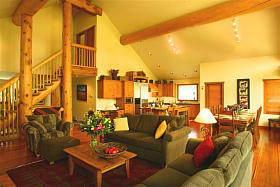 The living room has a river rock wood burning fireplace and open onto the dining area and gourmet kitchen.